Hello again, Readers Mine, and welcome to another "Tuesdays with Mollari," where I regale you with my adventures while writing Dreams Given Form: The Unofficial Companion to the Universe of Babylon 5 (forthcoming in fall 2016 from ECW Press). My co-author, K. Dale Koontz, and I have both had some unexpected things on our plates this fall, so we're not as far along as we'd like to be, but I feel confident that our deadline will be met! 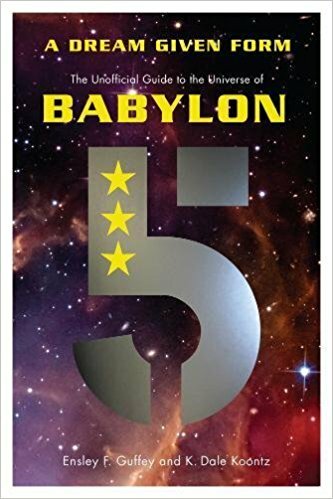 Rather than regale you with yet another post gushing about Babylon 5, I thought I would dedicate this week's post to some of the nuts and bolts of writing the book. The main alien cast of Babylon 5. 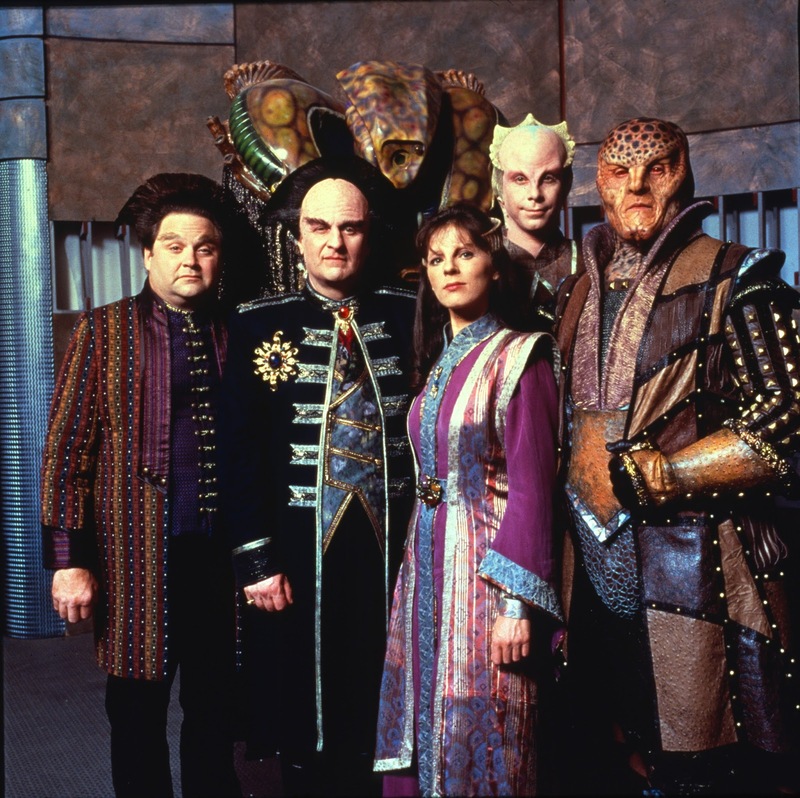 From left to right: Vir Cotto (Stephen Furst), Londo Mollari (Peter Jurasik), Kosh (Ardwight Chamberlin [voice]), Delenn (Mira Furlan), Lennier (Bill Mumy), and G'Kar (Andreas Katsulas). So tomorrow I will finish my "annotating rewatch" of season 1, which means that Thursday will begin the actual writing process for that season. Fortunately, this isn't our first time at the rodeo. 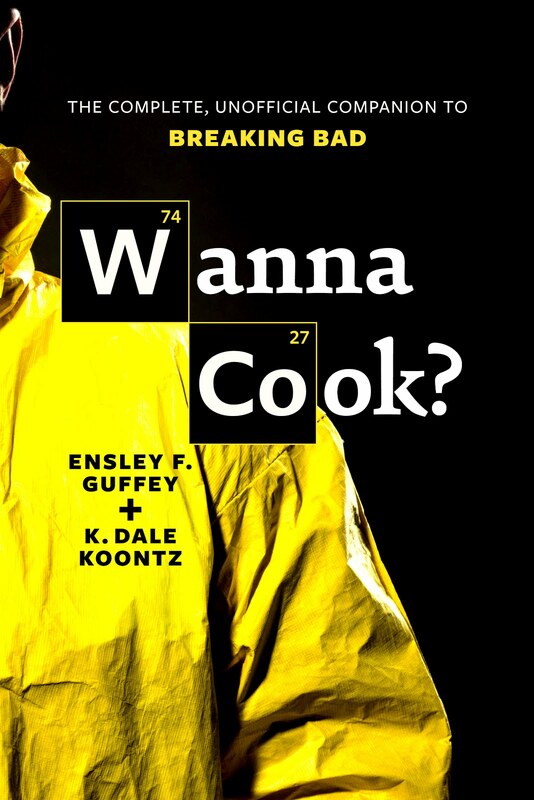 We learned a lot about writing a companion guide with our first book: Wanna Cook? The Complete Unofficial Companion to Breaking Bad (which, by the way, makes the absolutely perfect gift for the Breaking Bad fan in your family or set of friends - and for under twenty bucks!). Dreams Given Form will include episode guides for each season of Babylon 5 (and for Crusade, Legend of the Rangers, and the other B5 films) which will look at each and every episode individually. There are some tricks here, though. First, we need to stay spoiler-free for those who might be coming to the series for the first time, so while we can point out things that a new viewer might want to look for in the future, we have to do it in a very careful fashion. Second, we can't write an episode summary, because that's illegal when you are doing it for financial gain (which we hopefully are!) So the write up is more of a critical look at what's going on in a given episode, an analysis of the action rather than a retelling. Then comes the nitty-gritty stuff: a humorous quote or two, a section pointing out some things that the casual viewer might not have immediately noticed, any continuity or plot errors, elements of the episode that fit in with the master story arc, interesting facts about the production of the episode, and an explication of the episode's title if necessary. Occasionally, we will also include a paragraph or two focusing on a certain element of the episode or series that might benefit from some further investigation, like the Earth Alliance rank structure. The goal is to create a write-up that offers something to the existing fan and the new viewer alike. Here's the trick, though: we have a maximum word count. In other words, our publisher doesn't want us to exceed a certain number of words, total, so the book won't become huge and pricey. That means that we have to do all of the above in a manner that is informative, entertaining, thorough, and brief. Look, if you are reading this blog you are likely already a fan of B5, so you know how easy it is to go on and on about all of the amazing things in and around this show and JMS and the actors, the technology, etc, etc. The realities of the publishing business, however, force us to winnow things down to the essential information (and the stuff that is just entirely too cool to leave out). Remember that we're covering B5, Crusade, The Legend of the Rangers, all of the TV movies, The Lost Tales, the canonical comics, books and short stories - and we hope to include at least a few interviews with cast- and crew-members to boot! That's a lot of stuff, which means that there is simply no possible way that we can fit everything about everything in the book. And that's the hard part for fans like Dale and I, and it's also why we have a really good, really gentle, and completely ruthless editor to help us hack and slash all of the unnecessary stuff out, no matter how cool. So the writing process is always an adventure, always a fight keep things tight while also keeping the soul of the series intact.